The Senate President, Bukola Saraki has again spoken on the invasion of the National Assembly on Wednesday by thugs who took away the mace. Saraki described the act as primitive and disgraceful. Speaking yesterday at the 4th Anniversary Lecture of an online publication, The Nitche, held at the Nigerian Institute of International Affairs (NIIA), Victoria Island, Lagos, he said the action of the invaders was against good reasoning. 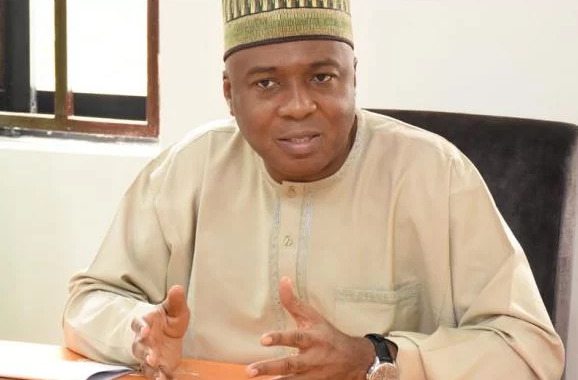 Saraki, who was represented at the event by Senator Ben Bruce, said: “What happened was a disgrace. It made no sense if you think about it, and it was a very primitive adventure. Citing an example, he said, “If you were to impeach the President, for instance, you go through the impeachment process and involve the House.